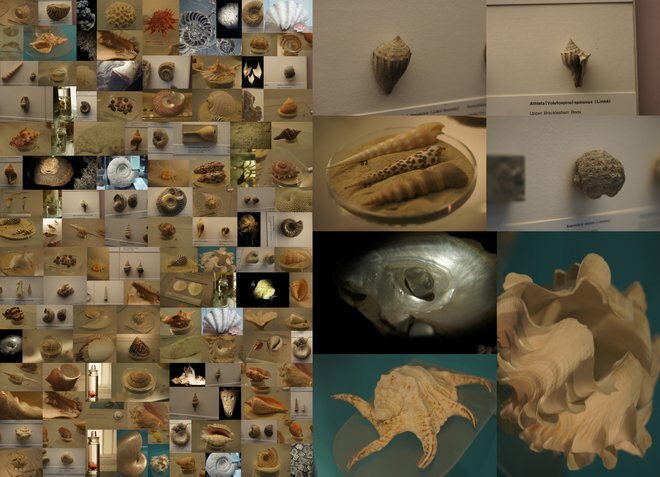 I have talked in a previous post on lifecharms to shells about talismanic, engaging and tangible transfigurations of lifestyle and health data in the form of sea shells. I now needed to explore the real thing. Off I went on another little spree of discovery both on-line and the real world, picking up a variety of ‘snails’ trails if you will. 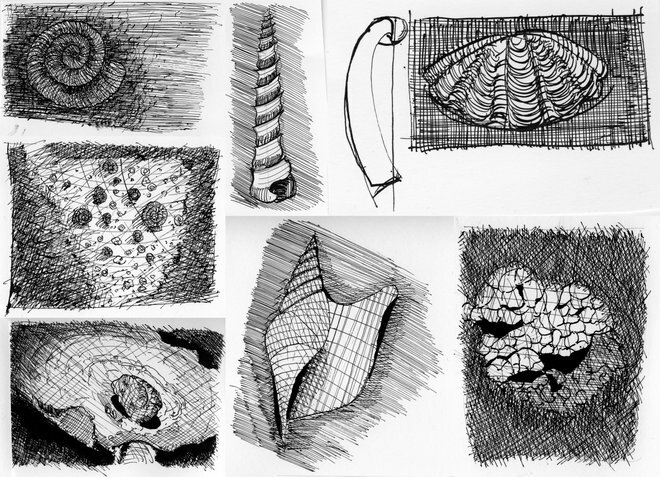 I had been making some initial sketches of shells whilst looking at some of the mathematical models that have been around for shells (more of this in a later post) and got deeper into the strange and wonderful world of shell forms to pick p ideas for forms and processes that I could draw on in the making of our own shells. Aside from producing a large haul of images from various on-line searches I wanted to make sure I would see a broad variety of the ‘real thing’. So being in London I went on to do take some pictures of ancient and contemporary shells in the wonderful and inspiring Natural History Museum within its fossil and invertebrate collections. From these I made a lot of sketches for our life-streams shells so that I could get a deeper taste and sense of the kind of shell shape variations that exist. 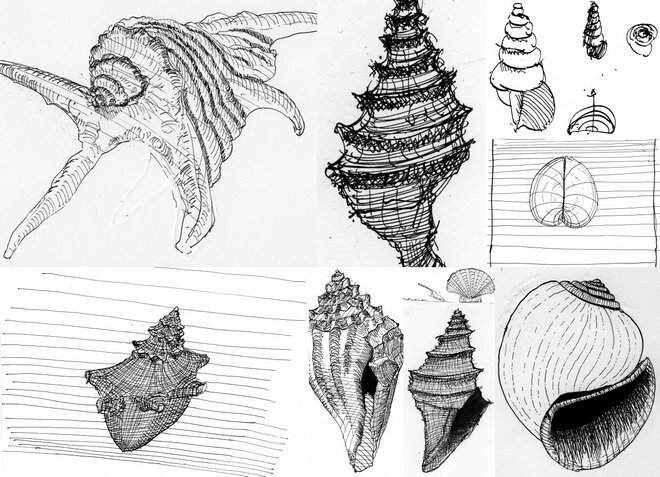 To me these sketches helped me to gain a clearer more visual understanding of some of the various archetypes and key differences in different shell structures that I came across. It got me to think about routes for the shell modelling process I have been evolving alongside on the computer and the 3d printers. I had looked at both ancient fossils which had lost any of their external pigmentation as well as contemporary shells that still retained all their wonderful colour and detail. I am continuously amazed at the range and expressiveness of shapes and colours pigmentation of shells that are out there.